The college football season isn’t long over, following one of the best national title games in history — so naturally, it’s time to look ahead to the 2017 season, and take a way-too-early pass at ranking how the teams stack up heading into next year. Of course, much will change between now and September. Players have declared for the NFL draft, but there will still be transfers and injuries, and coaches will continue to move to new jobs. On such a fluctuating landscape, all early rankings need to be taken with a very large pinch of salt, and we will be updating this ranking based off of the different events that unfold. Having spent the entire 2016 season atop the rankings, Alabama is all but certain to enter the 2017 season in the same spot, even considering its loss to Clemson in the national title game. For one thing, the Crimson Tide bring back quarterback Jalen Hurts for his sophomore season, along with a trio of talented running backs in Damien Harris, Bo Scarbrough and Joshua Jacobs; all four players exceeded 500 rushing yards in 2016. That quartet averaged 6.5 yards per carry between them, and forced a combined 134 missed tackles on runs. The turnover is more significant on defense, but no program is better placed to replenish their two-deep than the Crimson Tide. Regardless of which of the four major recruiting services you use, Alabama has finished with a top-two recruiting class in each of the past three seasons, and after National Signing Day were the unanimous No. 1 once again. They have talent on hand. USC won its final nine games, finishing the season with a hugely entertaining Rose Bowl victory over Penn State. The Trojans’ sights will be set even higher in 2017, largely thanks to the play of freshman quarterback Sam Darnold. Darnold may not have opened 2016 as the starter, but he made the position his own once given a chance. Perhaps the most impressive thing about Darnold’s play has been his ability to deal with pressure, he has the mobility to escape the pocket and throws an accurate ball on the run. His 65.7 percent accuracy under pressure ranks eighth out of 132 qualifying quarterbacks, and only 7.2 percent of pressures were turned into sacks, the second-lowest rate in the nation. Ohio State’s season ended badly, being completely outplayed by Clemson in the playoff semifinal. 2016 was supposed to be a year too early for this young roster, with 2017 the year the group was expected to blossom. However, a number of key defenders declared for the NFL draft, including three members of the secondary, diminishing their 2017 prospects. Two who definitely return are defensive end Nick Bosa and linebacker Jerome Baker. Bosa recorded five sacks and 38 total pressures, on his way to an 84.1 overall grade as a true freshman. True sophomore linebacker Baker earned an 86.5 overall grade, second-best in the Big Ten, and should be the star of the LB unit next season. The Buckeyes host Oklahoma in Week 2, giving their schedule the necessary oomph to be in contention for the playoff from the get-go, provided they win. Oklahoma finished the season with 10 straight victories, but they couldn’t shake off the damage caused by two early losses, combined with a the Big 12’s perception problem. In quarterback Baker Mayfield, they have one of the most influential players in college football. 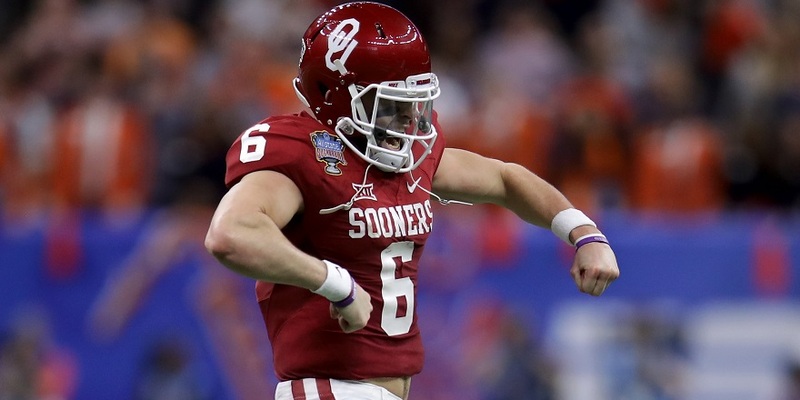 Mayfield finished 2016 with a 93.7 overall grade, and a 90.9 passing grade, the best marks in the nation. He also led all quarterbacks with a 63.5 percent accuracy percentage on deep passes (those that travel 20-plus yards downfield in the air). Losing both featured running backs is a blow, but one softened by the addition of a pair of 4-star backs out of high school, including early enrollee Trey Sermon, who should contend for playing time in 2017. The Sooners face an early-season test with a trip to face Ohio State in Columbus, if they can gain revenge for this year’s contest it would really set them up for a spot at the playoffs. After a thrilling national championship victory, on the heels of back-to-back appearances in the title game, Clemson is faced with a challenging transition on offense, as the Tigers are likely to lose quarterback Deshaun Watson and a chunk of the talent around him. They have prepared for it, including the addition of 5-star early enrollee Hunter Johnson in this year’s signing class, but an initial step back is to be expected. Thankfully, they return two rocks on the defensive line in defensive tackle Dexter Lawrence (87.6 overall grade) and edge defender Christian Wilkins (83.4). Lawrence was outstanding for a true freshman, recording seven sacks, 46 total pressures and 30 defensive stops. Clemson faces SEC opponent Auburn early in the season, and host the Tigers’ most obvious conference rival in Florida State, giving them an advantage in the ACC. Florida State was one of the most impressive teams during bowl season, and will hope that heralds a return to the top of the college football world. To do that, they will need to be better on offense right from the start of the season, as they open the 2017 campaign with a neutral site game against Alabama. Quarterback Deondre Francois endured some freshman struggles, but wasn’t helped by the play of the offensive line. When kept free of pressure he graded well, but he was pressured on 33.5 percent of his dropbacks; 92 of 132 qualifying quarterbacks were pressured less often. One big boost for the Seminoles in 2017 will be the return of safety Derwin James, who posted an outstanding 91.1 overall grade as a true freshman before missing much of 2016 to injury. Penn State’s remarkable in-season turnaround should leave the program buoyant going into the 2017 season. Moreover, the majority of the players that were responsible for the spectacle in the Rose Bowl look set to return, giving the Nittany Lions a legitimate chance to retain their Big Ten crown, and force their way into the playoff picture. Chief among the returners are running back Saquon Barkley (83.5 overall) and quarterback Trace McSorley (80.5), who give Penn State one of the most dynamic backfields in the nation. The 2016 season was one to remember for Washington, and the Pac-12 champions will be hoping to improve upon it, but like many teams they have had to deal with some attrition as players declared early for the NFL. Quarterback Jake Browning and running back Myles Gaskin, both true sophomores, were guaranteed to return, but the key for the Huskies fortunes was the status of the starting defensive line, Vita Vea (85.0 overall), Elijah Qualls (84.6) and Greg Gaines (84.4). All three enjoyed excellent seasons, but Qualls declared for the draft, while the other two were also eligible to do so should. Getting Vea and Gaines to return should make the 2017 Huskies a force to be reckoned with. Two years under Jim Harbaugh have moved Michigan close to the nation’s elite, but they aren’t all the way there yet, as shown by the loss to Florida State in the Orange Bowl. The 2016 team was led by an elite defense, but most of the starters on that side of the ball will be off to try their luck in the NFL, so it’s likely that the defense falls off a little while the next wave settle in. 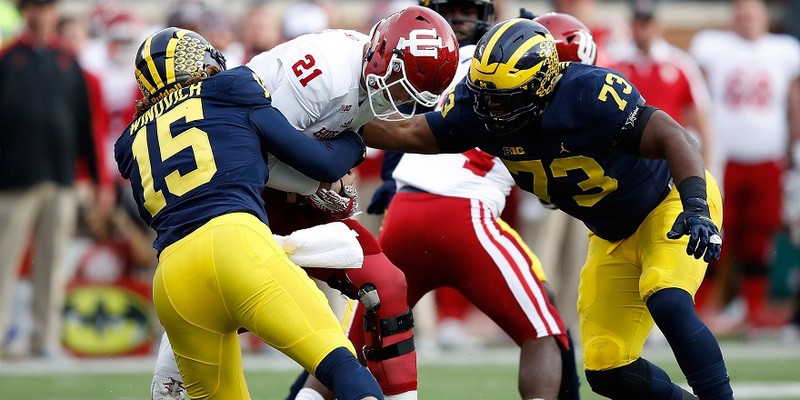 Not every star is gone though — disruptive defensive tackle Maurice Hurst has opted to return for his senior season, which is good news for the Wolverines. Hurst recorded a pressure on 19 percent of his pass-rush snaps in 2016, which tied for the best rate among all interior defensive linemen in the nation (minimum 100 pass rush snaps). LSU was a much-hyped team with quarterback questions heading into 2016, but the questions were never answered, and LSU failed to deliver on that promise. The 2017 season sets up in much the same manner; once again LSU has a much-hyped roster with quarterback issues, but the Tigers will hope this season plays out very differently in Baton Rouge. Danny Etling is the incumbent under center and the likely starter in 2017, and Brandon Harris is an experienced alternative, but neither has stood out; they may be pushed by a pair of 4-star QBs in the 2017 recruiting class. Away from the quarterback position there is ample talent to work with. Derrius Guice outperformed an injury-limited Leonard Fournette at running back, earning an 82.9 overall grade. Sophomore pass-rusher Arden Key recorded 12 sacks and 54 total pressures, earning an 87.8 overall grade. If a team has a good quarterback, it will always have a chance, and that’s precisely the case with Oklahoma State, who welcome back QB Mason Rudolph for his final season. Rudolph finished 2016 with a 92.3 overall grade, and a 90.0 passing grade, both marks ranked second among quarterbacks. Rudolph has shown good progression throughout his time in Stillwater, he posted a 69.0 grade in limited action as a true freshman, then an 86.4 grade in his first full season as a starter in 2015. The Cowboys he takes yet another step forward in 2017, to make them a legitimate playoff contender. A poor final three games take the shine off an otherwise-excellent season for the Cardinals, and lowers expectations for 2017. They do return Lamar Jackson, the most exciting quarterback in football, and that will ensure they get their share of the spotlight. Jackson finished 2016 with an 87.8 overall grade, a 96.2 grade as a rusher and averaged a ridiculous 9.4 yards per designed carry. The bad news for Louisville is their schedule; an out-of-conference slate of Purdue, Kent State, Murray State and Kentucky doesn’t set the pulse racing, which means they need to achieve perfection to challenge for a playoff place. Auburn faces a trip to Death Valley to take on Clemson in the second week of the season, which will either leave the team with ground to make up, or put the Tigers in huge credit. They are likely to be doing so with a new starter under center, transfer QB Jarrett Stidham from Baylor, an excellent fit for the Tigers offense. Stidham impressed when earning a 73.4 as a true freshman in 2015, with much of his playing time coming in mop-up duty. The Tigers lose their best pass-rushers and need to find immediate replacements if they are to challenge, but the offense could be very good. Texas fans have suffered through enough false dawns that they will be wary of another, but 2017 really does set up well for the Longhorns, and would have done even without the coaching change. Running back D’Onta Formean is going to the NFL, but most of the team returns, including star left tackle Connor Williams, who gave up just five pressures all season and finished 2017 with an 87.0 overall grade, third best in the nation. A trip to the Coliseum to take on USC will be challenging, but they play host to Oklahoma State and Kansas State, two of the likely contenders for the conference. 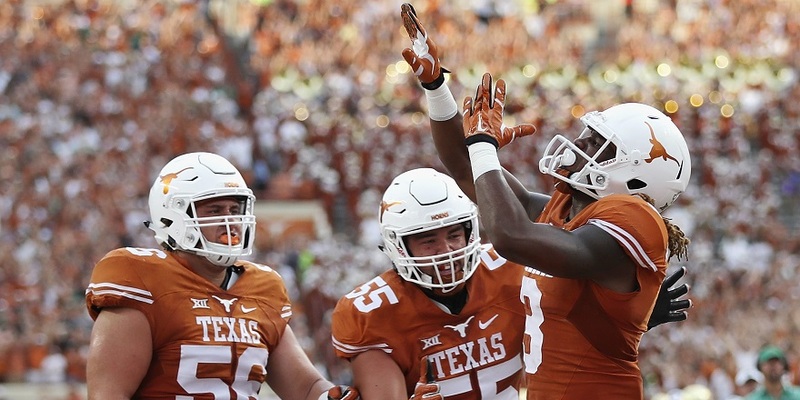 If Tom Herman can galvanize the team, the Longhorns have a schedule that could put them right back in the mix for the Big 12. Head coach Charlie Strong has inherited an enviable situation, taking over a team built around dual-threat quarterback Quinton Flowers, one of the best in the nation. With an 88.5 overall grade, Flowers ranked sixth among QBs, and his 98.3 rushing grade was the top mark. With Illinois as the sole Power-5 school on the schedule, the Bulls lack the ammunition to reach the playoff, but they could very well be the best team from outside the Power-5. Georgia didn’t enjoy a great debut season under first-time head coach Kirby Smart, as they struggled to an 8-6 record, their second-lowest winning percentage this century. However, those difficulties should be the precursor to better times for the Bulldogs, as they were able to bed in a number of talented young players, including defensive tackle Trenton Thompson (83.4 overall) and inside linebacker Roquan Smith (87.0). The offense should be better with talented quarterback Jacob Eason entering his second season, and the return of both Nick Chubb and Sony Michel at running back. The schedule is also very manageable, as the Bulldogs avoid both Alabama and LSU from the West. Someone has to win the ACC Coastal, so why not Miami? The division is losing much of its quarterback talent to the NFL draft (including Miami’s own Brad Kaaya), leaving the Coastal wide open for whichever team hits the ground running. That could well be Miami, who return many of their best players including a pair of impressive true freshmen, wide receiver Ahmmon Richards and defensive end Joe Jackson. Richards averaged 3.06 yards per route run, the 18th-best rate among 257 qualifying receivers. Jackson recorded nine sacks and 32 total pressures, all from the weak side of the line, which typically means he is up against the opposition’s best pass protector. Wisconsin was solid throughout 2016, losing (narrowly) to the three best teams they faced (Ohio State, Michigan and Penn State), while grinding their way through the rest of the schedule. The Badgers’ blueprint should remain the same, but losing stud left tackle Ryan Ramczyk to the NFL draft is definitely a blow. The 2017 schedule is also kinder, they avoid both Ohio State and Penn State from the Big Ten East, and this year’s game against Michigan is in Camp Randall rather than Ann Arbor. The returns of tight end Troy Fumagalli (84.2 overall) and linebacker Jack Cichy (87.8) are huge for the Badgers. Stanford has become such a footballing force that the team’s 10-3 record in 2016 feels like something of a disappointment (it is Stanford’s second-worst record in the past seven seasons). There is little reason to anticipate that the Cardinal will fall off now, but their ceiling in 2017 has been lowered by the early departure redshirt-sophomore defensive lineman Solomon Thomas, the Cardinal’s one true difference-maker on defense. 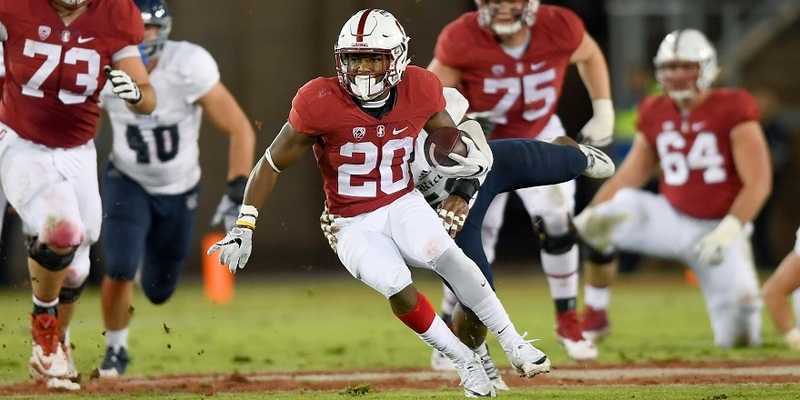 It helps that they have a like-for-like replacement for Christian McCaffrey on hand in running back Bryce Love, a talented runner in his own right. Love forced 36 missed tackles in 120 offensive touches in 2016, and averaged 4.5 yards after contact. They have also landed a rather impressive recruiting class, featuring three of the nation’s top 15 players (according to the 247 Sports composite). Washington State might not be on everyone’s lips as a team to watch in 2017, but while Mike Leach’s team is frustratingly inconsistent, it is also talented. Prolific quarterback Luke Falk (79.3 overall) will lead the offense once again, but, unusually for the Cougars, perhaps their most important returning player is on the other side of the ball. Defensive lineman Hercules Mata’afa. Mata’afa led the team with five sacks and 55 total pressures in 2016, earning an 86.5 overall grade. Based on recent history, the biggest games for the Cougars may be the first two, against Montana State and Boise State. If they can avoid shooting themselves (and the Pac-12) in the proverbial foot in non-conference play, it should set them up for a good season. Florida has won the SEC East title in consecutive seasons, and are now aiming for the threepeat with a team built around a solid defense. It’s not all about the defense of course; running back Jordan Scarlett earned a 78.9 grade on offense on just 179 carries, and looks primed to handle a larger role. The schedule sets up kindly for the Gators, they face only three true road games (Kentucky, Missouri and South Carolina), and two neutral-site games — against Georgia and the season opener against Michigan in Texas. There is no denying that 2016 was an awful season for the Ducks, but amid the wreckage there are signs that a rapid upturn in fortune is possible. Running back Royce Freeman is returning for his senior season, after a disappointing junior campaign. While 2016 wasn’t his best year, he has still averaged 3.4 yards after contact in his Oregon career, and forced one missed tackle for every 4.1 touches on offense. True freshman quarterback Justin Herbert excelled once pressed into action, finishing the season with a 76.4 overall grade. A problematic defense might well be an anchor to the Ducks ambitions, but they could still be a force to be reckoned with in the Pac-12. The early departures of their starting quarterback, and two of the team’s top three receivers, isn’t good news for the Hokies and could cause a setback in year two under head coach Justin Fuente. Then again, 2016 was expected to be a transitional season and the Hokies still played for the ACC title, so why can’t they challenge again in 2017? One key player who does return is left guard Wyatt Teller. Teller earned an 85.5 overall grade in 2016, following grades of 82.8 and 83.7 in 2014 and 2015, respectively. Kansas State put together a quiet 9-4 season in 2016, thanks in large part to the tremendous play of pass-rusher Jordan Willis, who will be off to the NFL. 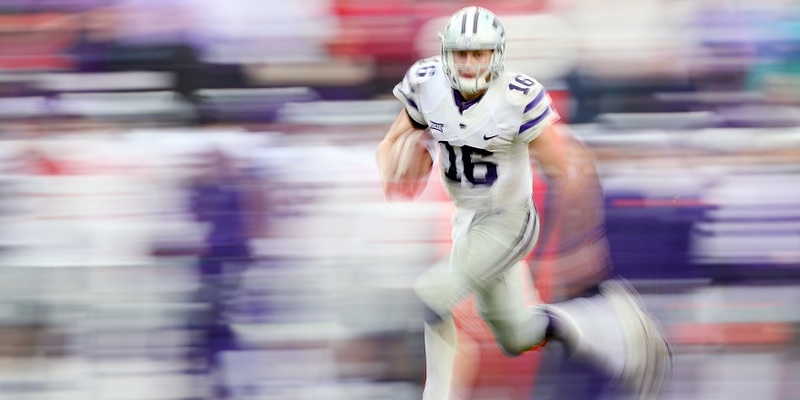 Another key to their success was a running game built around quarterback Jesse Ertz, who will return to lead the offense again in 2017, along with many of the pieces around him. Discounting yardage lost via sacks, Ertz rushed for 1,113 yards and 12 touchdowns at 6.6 yards per carry, which was good enough for a 94.9 rushing grade, third-highest among quarterbacks. Head coach Craig Bohl has Wyoming on the right path, taking the Cowboys to the Mountain West Championship game and an 8-6 record in his third season, and uncovering a future NFL quarterback in Josh Allen. Allen was a little inconsistent, but made a lot of big plays and finished 2016 with an 81.4 overall grade. The Cowboys 2017 fortunes were directly tied to Allen; that he opted to return to Laramie rather than enter the NFL draft gives the Cowboys a great chance of recording back-to-back winning seasons for the first time in the 21st century. Wyoming will be legitimate contenders for the Group of Five New Year’s Six bowl berth.